Ready to be your trusted NYC dentist. Experienced dental experts you can count on. Giving you the confidence to smile. We can guarantee you quality service. "This is a great practice"
"Very clean professional office. Love the staff." "I've been coming here for 20 years!" "Always a pleasure and that's not easy to say about denists!" "Best dentist & staff with the highest quality of treatment. I wouldn't go anywhere else." "Dr Chillura is professional, thoroughly, and very knowledgeable." "I have never seen such excellent service at a dentist office ever." "Dr Chillura is professional, thoroughly, and very knowledgeable "
"The facilities are immaculate and the equipment are all state of the art." Located in the heart of the Financial District, Pearl Dental offers New Yorkers a comprehensive array of dental services. From general dentistry, such as teeth cleaning and same day crown fittings, to cosmetic procedures, including Invisalign, teeth whitening, and computer-guided surgery; Pearl Dental provides the highest level of dental care. Proudly serving patients on Wall Street since 1976, the dentists at Pearl Dental believe in providing minimally invasive, comprehensive dentistry while maintaining a partnership with their patients to improve lifelong health. The skilled providers offer a host of dental services for the entire family under one roof. The convenient Lower Manhattan location also makes Pearl Dental the perfect choice for quick and professional service during the workweek. Offering the latest technologies with old-fashioned charm, Pearl Dental exceeds expectations both in the office and online. Patients can take a virtual tour of the office, read up on the most innovative dental treatments, and keep up to date with the clinic's blog. Pearl Dental also offers a discounted membership program to those without dental insurance as well as a referral rewards program for patients who bring friends to the practice. From wisdom teeth extractions and root canal therapies to implants and veneers, Pearl Dental satisfies all your dental needs. Call or schedule an appointment online with one of their four board-certified practitioners. Baby Teeth Eruption Chart . When do they come in and when do they fall out. Oral Head and Neck Cancer Screenings save lives!! Things you should know about your Invisalign treatment! We offer BPA and Mercury Free Fillings! Pearl Dental NYC is proud to offer BPA and Mercury Free fillings for safe and effective protection from cavities! 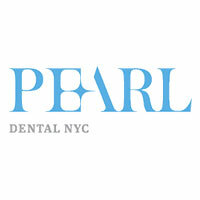 Pearl Dental NYC is the best dental practice in lower Manhattan. Conveniently located in the Financial District, we are easily accessible to patients who are eager to come in and out for quick and professional service. Visit us today! We're proud of our reputation! Pearl Dental NYC is proud to serve the dental needs of Wall Street. Over the years we've earned an excellent reputation and multiple referrals for providing the best possible care. Professional, progressive and very competent dentist in the Financial District." "t's a very professionally run office across the board with an excellent staff including the office manager, the hygienists, the doctor. " " I love the personal touch of the office. They have a very high level of customer service. Beautiful, state of the art offices and a great staff." "Dr chillura is the best. He combines the latest technology with old fashion charm. Almost always pain free and expert work. Highly recommended." "Amazing attention to detail and recommended followups and at home care. The staff is by far the most patient and reassuring." "I feel in good hands with these guys! I've relocated to Dubai for work yet keep them as my main dentist team on every visit back home! Wouldn't have it any other way." "Dr. Perlroth is the best dentist I have seen in years. She is compassionate for her work and her patients. She always makes sure you are comfortable and at ease." "How you and your staff could make going to the dentist a pleasant experience is beyond me, and you know how I feel about pain. It’s a family here."